Coastal Angus – Lunan Bay and so much more! Angus is an ideal destination for a break, within easy reach of Scotland’s main cities and with lots to see and do. An area of outstanding beauty there’s something to suit everyone. Why not visit the picturesque seaside towns of Monifieth, Carnoustie, Arbroath and Montrose and enjoy the spectacular Angus coastline, fantastic local food and drink and historic sites and landmarks. Along the dramatic and beautiful coastline of Angus you will encounter scenic seaside towns, sandy beaches, championship golf courses and country parks. 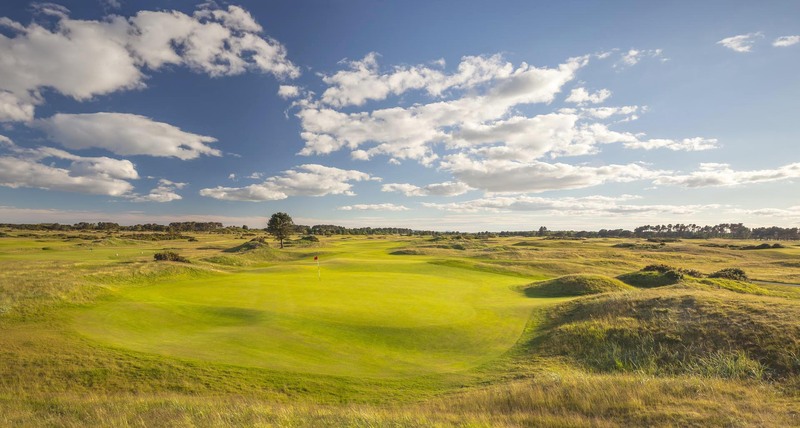 Visit the famous golf town Carnoustie with its Championship Golf Course which has hosted The Open eight times since 1931, most recently in 2018 when Francesco Molinari reigned victorious. Carnoustie has a great beach with opportunities for watersports, and from here you can enjoy a walk along the coastal path to the village of East Haven, one of the earliest recorded fishing communities in Scotland. Further along the coast is Arbroath, a traditional seaside resort with a picturesque harbour. Don’t miss a visit to West Links on the beachfront with its adventure playground, skate park and Kerr’s Miniature Railway. 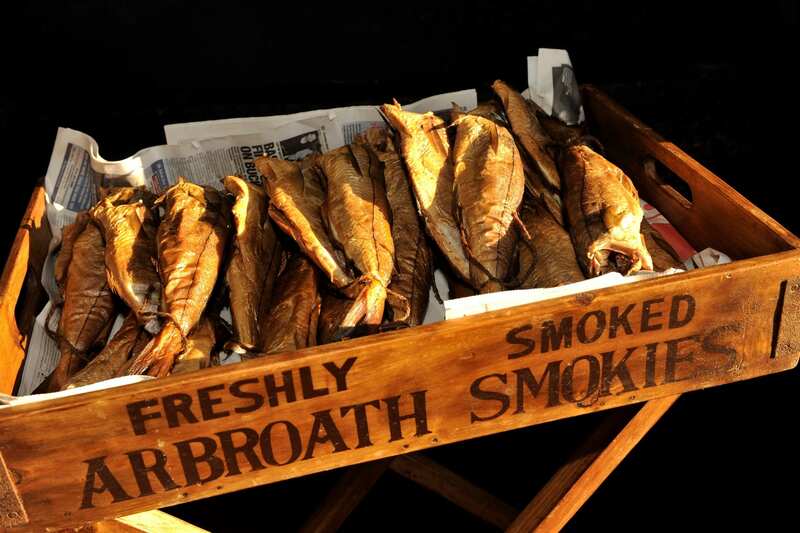 Enjoy a famous Arbroath Smokie, traditional woodsmoked haddock considered a delicacy all over the world. There are many Smokie producers in and around the ‘Fit O’ The Toon’. Visit one of the many cafes, restaurants, pubs and hotels in the town, many of which feature the Arbroath Smokie on their menus. The Smokie Trail tells you more about the story of the Arbroath Smokie as well as where to buy it and eat it. The Signal Tower Museum, next to the harbour contains a fascinating record of local history. 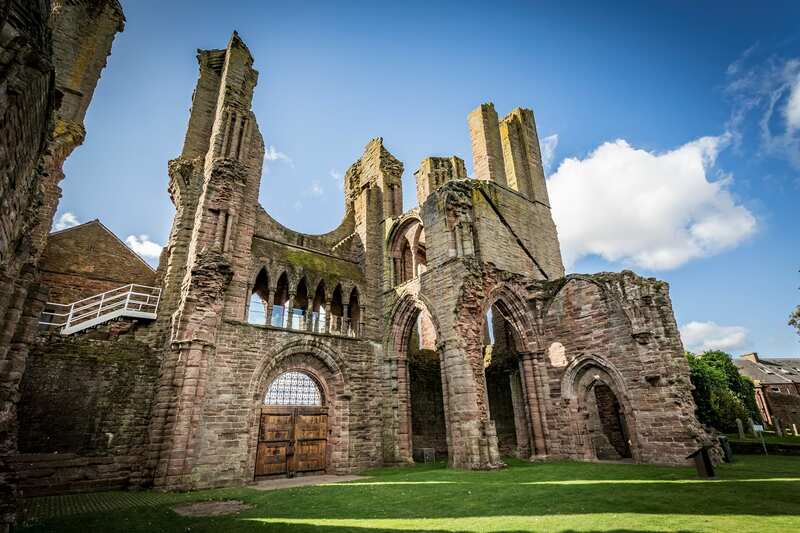 Arbroath is also home to one of Scotland’s most important historic sites – Arbroath Abbey, where the Declaration of Arbroath was signed by Scottish nobles in 1320. 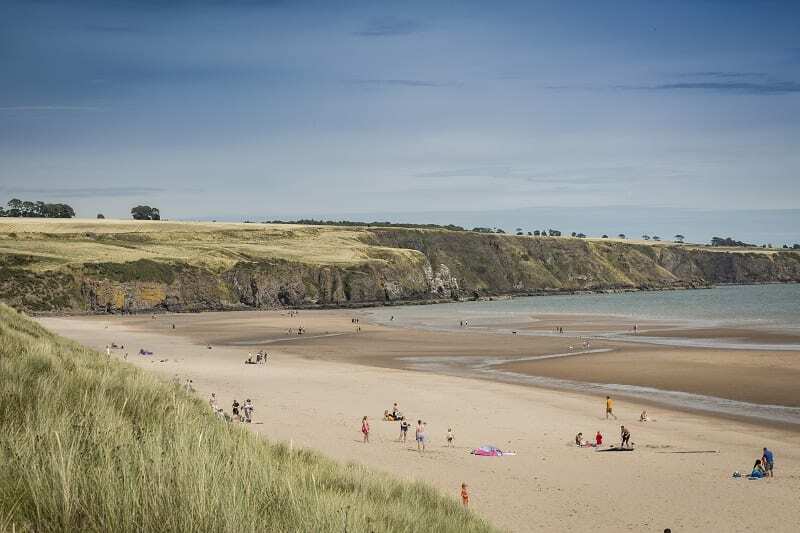 Between Arbroath and Montrose you will find Lunan Bay, a stunning beach overlooked by the ruins of Red Castle which was once a lookout point for Viking invaders. Montrose is an attractive town in a spectacular setting overlooking a two-mile wide tidal lagoon, known as the Basin. 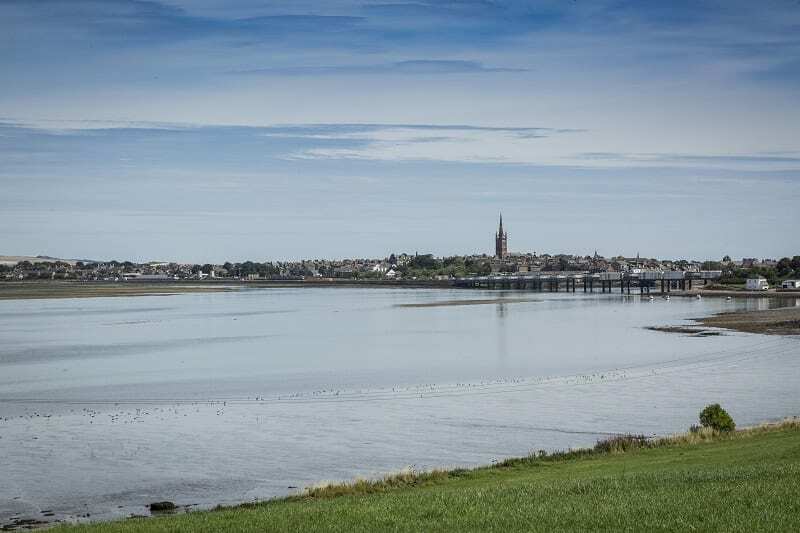 The Montrose Basin Visitor Centre is the ideal place to appreciate the magnificent wildlife in the nature reserve. 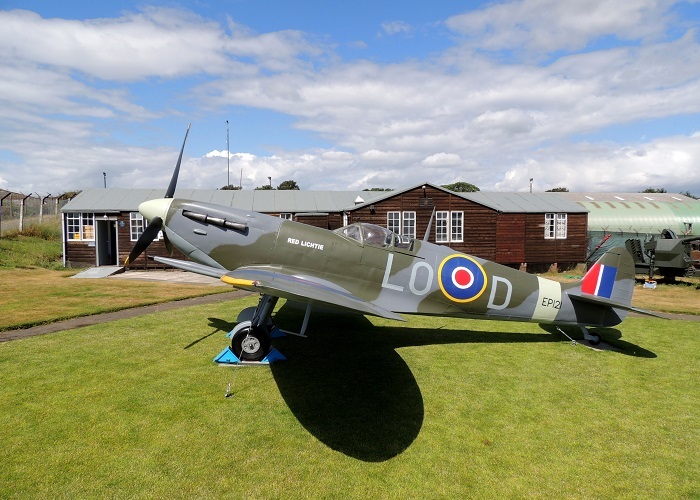 Britain’s first operational airfield was set up in Montrose in 1913 and the Montrose Air Station Heritage Centre houses a fascinating collection of documents, photographs, aircraft, engines and vehicles. Angus is home to some of the finest quality food and drink in the country and you can visit the Angus Farmers’ Market in Montrose on the first Saturday of every month.